1. 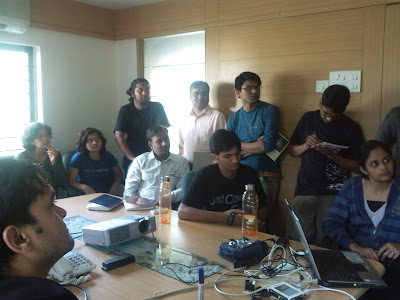 We had 18 attendees for the talk. 2. 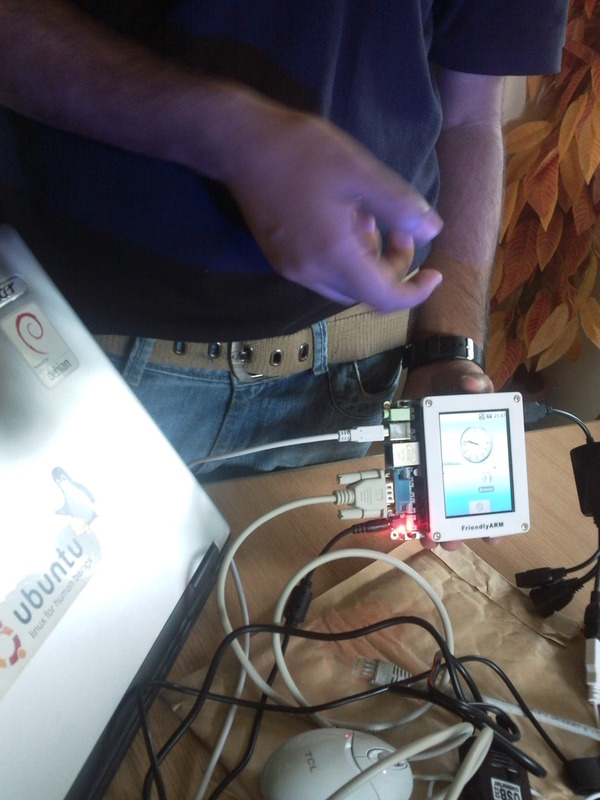 Suchakra demonstrated running Friendly ARM board and flashing Android on Friendly ARM mini2440. How Android works on Friendly ARM ? How get all help from http://friendlyarm.net/ ? He also demonstrate use Eclipse for Android application development. There are QEMU based simulator/emulator which can use to develop & test Android application for various version of Android platform from 1.6 to 2.2. 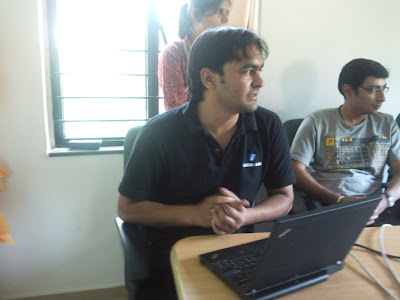 Which make development of Android application easy & fast. 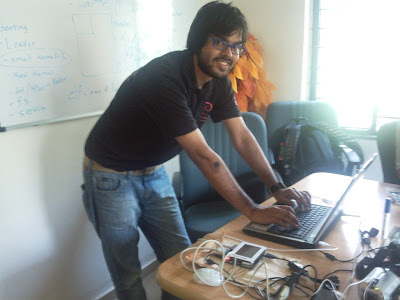 Also we get to know that Tanushri had updated wiki page on Opencv on mini2440. 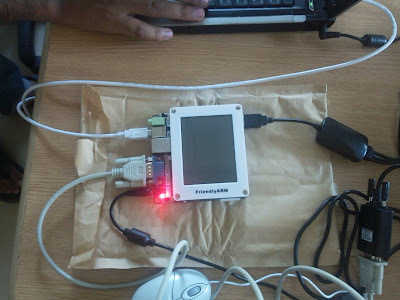 Which real difficult task, because there no enough for Cross Compiling Open CV on Friendly ARM mini2440. "OpenCV is a library of programming functions mainly aimed at real time computer vision, developed by Intel and now supported by Willow Garage. It is free for use under the open source BSD license. The library is cross-platform. It focuses mainly on real-time image processing." Explain us about ARM board memory model. How kernel, bootloader, root filesystem works on any ARM board ? He explain Bare Metal "hello world" examples, which works like kernel on QEMU for ARM. i.e. Without any kernel, bootloader, root filesystem there was running "hello world" program. He used qemu which emulate ARM's versatile development-boards. 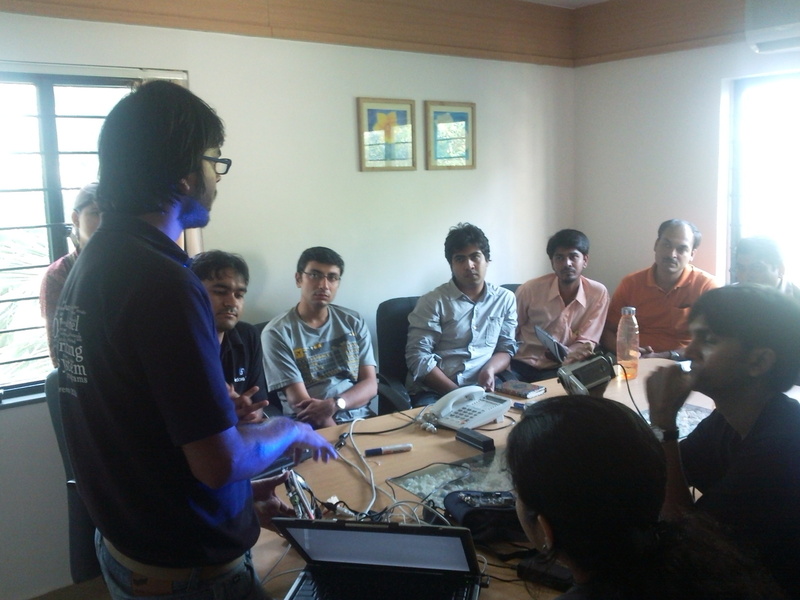 Suchakra as speaker for "Android on ARM"
Tuxdna as Speaker for "What happens when an ARM based board is powered ON?" 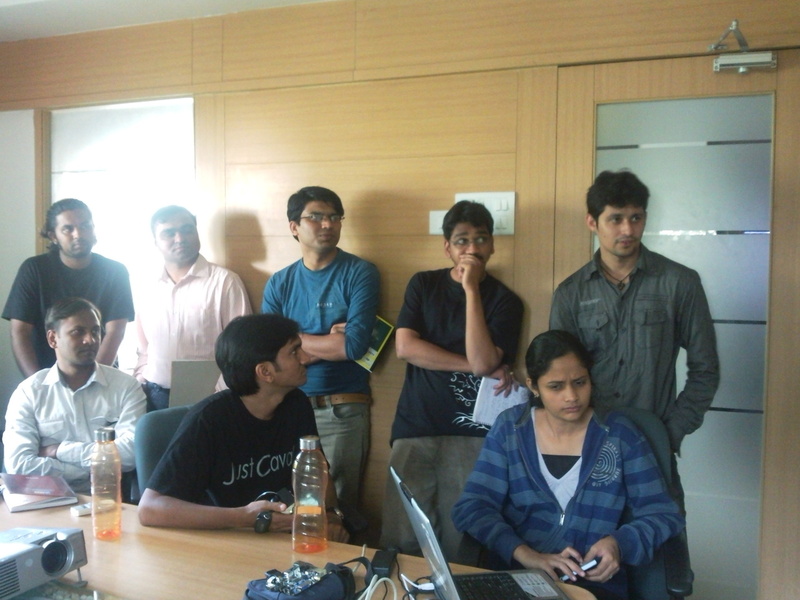 Audience for "Android on ARM and Linux Kernel Compilation - Open ARM Lab Session"